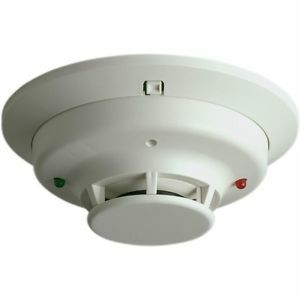 The 2GIG Smoke Heat and Temp Detector with built-in transmitter is designed for use with the 2GIG alarm system. 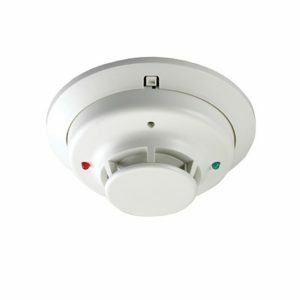 When it detects smoke, the alarm sounds a loud local alarm. 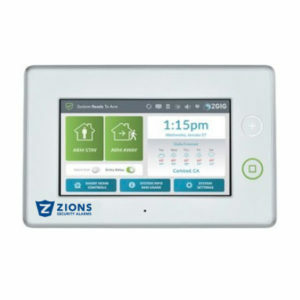 Then, twenty seconds after the local alarm sounds, the built-in transmitter sends a digitally coded wireless signal to the control panel. 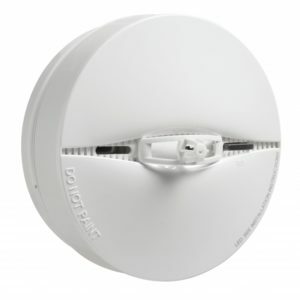 Additionally, the wireless signal will be repeated every 20 seconds as long as smoke is still present. 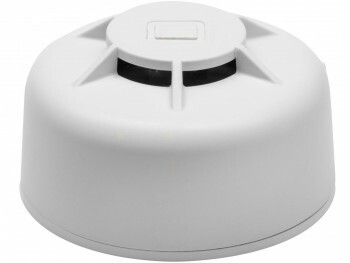 In addition to a smoke detector, the unit contains an integrated fixed 135 degree temperature and rate-of-rise heat sensor that will send an alarm signal based on temperature detected. 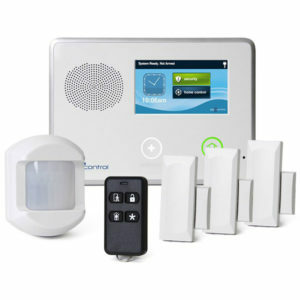 So you can have protection against both smoke and heat. 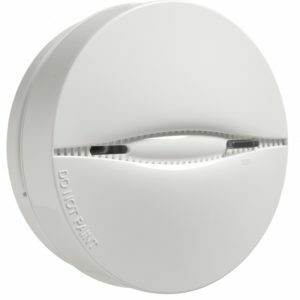 But if this isn’t quite what you’re looking for, please take a look at our other smoke detectors. 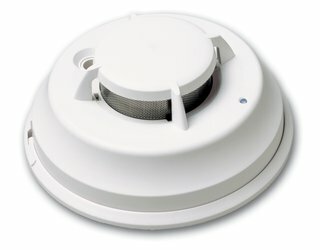 Heat detector specifications: 0.5%/ft. max.